Mark started tennis at 7 years of age and found his love of the game after moving to Canberra at 11 years old. He went on to represent the ACT in "Pizzey & Bruce" cups and has played competition to the highest level in Canberra for nearly 20 years. Mark also spent 12 months trying to make it as a professional tennis player before realising that there was a greater purpose for him in tennis which he found in spreading his love of the game. Mark has since devoted his working life to coaching and running one of Canberra's most successful and established coaching businesses. 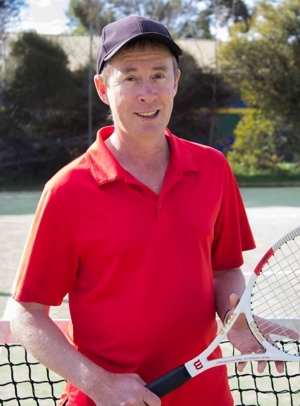 In the 30 years since forming 'Canberra School of Tennis', Mark has coached players of all ages and also taught many of Canberra’s leading coaches. Mark has had numerous students attain the Tennis ACT National Academy scholarship holder status including Amery & Imogen Clews, Mwigga Kippaya, Patrick Willemborek, as well as other students being accepted in the US for tennis Scholarships. 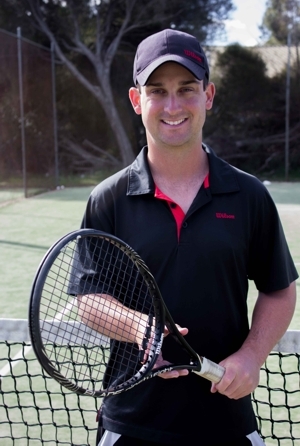 Mark has a Bachelor's Degree in Banking, Finance & Commerce, and is a fully accredited Tennis Australia Coach. Mark won the Tennis ACT 'Coach of the year' award in 2015 & runs Tennis Australia endorsed programs including ANZ Tennis Hotshots, Fitbit Cardio & Tennis in schools programs. Mark still has the same passion he had when starting his coaching career, and his motto, “Tennis, The Game for Life” encapsulates his philosophy for coaching. Mark can often be found on the court with his highly engaging, energetic and vibrant coaching style. Robert began playing Tennis at 8 years old after 18 months off sports due to a hip disease (Perthes Disease). He fell in love with the game very quickly as he met new friends & enjoyed the 1 on 1 competitiveness Tennis brings. After having some success in local and interstate events Robert was invited to the ACT State Squads for 2 years. Robert was coached and mentored by Mike Ahearn and Mark Walton. Mike now lives on the Gold Coast and runs his own Tennis Coaching programs at Sanctuary Cove Golf & Country Club while Mark is still Manager and Head Coach of CSoT. Robert began his coaching career in 2002 as a junior coach while studying. After school Robert attended Canberra Institute of Technology (CIT) where he studied Media Production. After his studies at CIT Robert continued coaching and eventually attained his Tennis Australia Club Professional qualifications in 2011. Robert is a Tennis Australia Qualified Member, ANZ Tennis Hotshots deliverer & Fitbit Cardio Tennis Coach. Robert has been nominated for the prestigious Tennis ACT Club Coach of the year multiple times. In 2015 he won the Coaching Excellence ANZ Hotshots at the Tennis ACT Awards. ​Robert was also nominated for the Coca-Cola Shield for Outstanding Coaching or Official's Achievement in the Vikings Group Sports Awards in 2016. Robert was also awarded for the development of high performance athlete James Williams who then moved on to hold a Tennis ACT National Academy Scholarship. 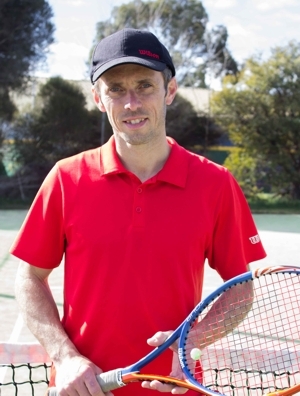 Robert is currently the Head Coach of The Pines Tennis Club in Chisholm where he delivers programs for all ages including ANZ Hotshots, Squads, Hotshots Match-Play, Hotshots Leagues, Private sessions, Fitbit Cardio Tennis & Adult Technique sessions since 2012. Robert has recently coached local Tuggeranong juniors to success in ACT Junior Development Series (JDS) and has had many students selected to participate in the ACT Super 10's event including Kyle Burgess, Luke Burgess, Meaghann Scott & Ashlee Antonakos. Robert is passionate about tennis and coaching and always has the best interest of the player in mind. Robert’s approach to tennis is to make tennis fun and enjoyable for everyone so that they want to play tennis for life. Robert is striving to see participation in the Tuggeranong Valley improve and will achieve this by continuing his good work with the local community. Joe has been coaching for over 10 years and in 2009 obtained his Tennis Australia Club Professional coaching qualification. Joe's strength is the development of the younger junior players although he loves all aspects of coaching and has developed players of an elite standard. Joe bring a wide ranging and well rounded approach to tennis coaching having had experience with many sports including; Indoor and outdoor Cricket, Basketball, Cycling and Soccer. His experience of being more involved with tennis later in life gives him a valuable insight into the development of the skills needed to develop as a tennis player. Joe is a Head Coach at Weston Creek Tennis Club who oversees our Blue & Red Stage coaching programs, Hotshots Match-Play & Tennis in Schools program. He is also a Tennis Australia Hotshots program deliverer. Joe has an outgoing personality on court and can often be heard encouraging his students and always keeping them 100% engaged. Joe loves keeping it 'fresh and fun’ and his goal for each player is to achieve their own personal best every time they step on court. Nick started tennis at the age of seven years old after his parents renovated an old grass court at their new house. His Mum Alison can be credited for his first lessons, but the formal coaching began on the grass courts of Yarrawonga by legendary coaches Jon Coleman and Colin Grace. He represented the North-Eastern Victoria region in a number of tournaments around the state, as well as travelling to Melbourne every weekend during winter for pennant. His love of the game is based around the physical, tactical and mental battle tennis presents, as well as the individual nature of playing a match. Nick moved to Canberra in 2008 for university where he obtained a degree in Engineering and Commerce at ANU. His other interests include long-distance running and cycling, DIY projects and cooking. His work with CSOT began in 2015 where he began to realise his love of passing on his knowledge of the game to the next generation. He obtained his Tennis Australia Junior Development qualification in 2016 and is an eager participant in the development workshops presented by Tennis ACT throughout the year. Nick has played a large role in the development of our Hotshots lesson plans, as well as developing the latest squad program for our high performance players. ​You’ll find him to be an easy-going but highly driven individual who is very approachable as a head coach. Nick loves analysing the technical and tactical side of the game and through a collaborative approach with his players he is able to provide them with a pathway to reaching their potential.